In this bimonthly series, Jai Arjun Singh recommends Hindi films from the fifties and sixties. In this instalment, he tells you why you should watch Nitin Bose’s Gunga Jumna (1961) starring Dilip Kumar, Vyjayanthimala, Nasir Khan, and Kanhaiyalal. The film is available on YouTube. Gunga Jumna is sometimes considered THE Dilip Kumar film, for good reason. Most visibly, it gave him a fine, author-backed role: as the large-hearted and gregarious village boy Gunga, who works hard to educate his younger brother Jumna (played by the star’s real-life brother Nasir Khan) but is driven by misfortune – and the machinations of a local landlord – towards joining a gang of dacoits. However, Kumar’s contribution goes well beyond his performance. “Written and produced by Dilip Kumar” is the film’s assertive final credit; even though it was officially directed by the respected veteran Nitin Bose (whose career stretched back to the 1920s), Kumar had no hesitation in saying, in his memoir The Substance and the Shadow, that “Gunga Jumna was essentially my baby”. His involvement in every aspect of the production – from location-choosing to editing – has been confirmed, among others, by co-star Vyjayanthimala (who plays Gunga’s love Dhanno) and cinematographer V Babasaheb. There was a personal angle too: the film was partly made with the intention of giving his younger brother Nasir a strong role in a big production. His involvement in every aspect of the production – from location-choosing to editing – has been confirmed, among others, by co-star Vyjayanthimala (who plays Gunga’s love Dhanno) and cinematographer V Babasaheb. All of which could encourage a cynical view of Gunga Jumna: that it was an ego project for a major leading man who was nearing forty (an age when, historically, the Hindi-film male star is at his most image-obsessed, vulnerable, prone to self-mythologizing and making poor choices). But a viewing of the film itself dispels such ideas. Gunga Jumna is extremely well paced, made with loving attention to detail, and moves elegantly between small moments and grand ones. Here is an important story about the exploitation of the rural poor under the feudal system, but also an intimate character study. It endorses the rules of civilized life – reiterating that no crime, however provoked, should go unpunished – but retains empathy for a man who was a victim long before he was a “sinner”. And all this without mentioning the many sweet little interludes, such as the ones involving a grumbling munim (Kanhaiyalal, giving one of those terrific performances one so often sees from supporting actors in old Hindi cinema, which find a balance between stereotype and believability) and his love-hate relationship with a street mongrel who chases him despite being fed by him. The “indie” cinema of the past decade or two has been notable for its greater emphasis on authenticity in dialogues and accents – and the recognition that there are many Indias and that a variety of milieu-specific stories can be set in them. 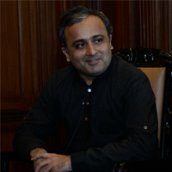 This was not the norm in Hindi films of half a century ago, which were more homogenous and Bombay-centric in their sensibility and use of language; even on the few occasions when stories were set in a specifically identified region of (say) central or northern India, the protagonists’ conversations rarely steered far from “shuddh” Hindi or Khariboli. Gunga Jumna is an exception, both in Wajahat Mirza’s dialogues and in Shakeel Badayuni’s lyrics for such songs like “Nain Lad Jaihen” and “Tora Mann Bada Paapi”. 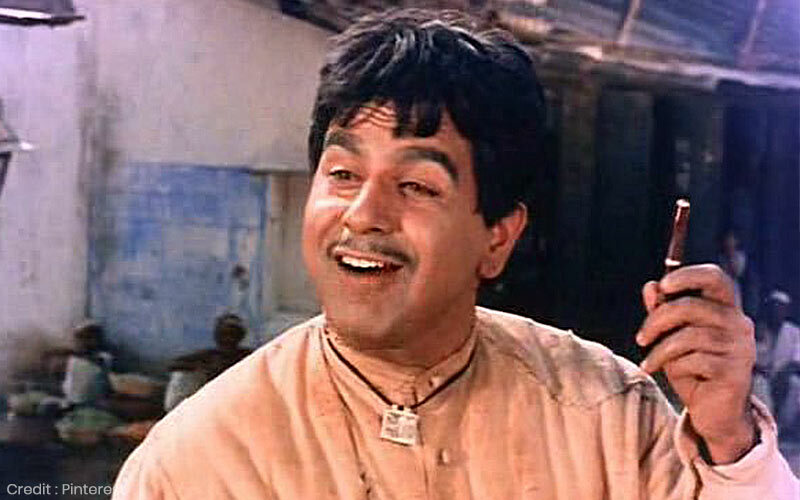 Again, Dilip Kumar was instrumental in the bold decision to have much of the dialogue in Awadhi, which many feared would harm the film’s box-office prospects. However, this linguistic choice wasn’t made just for novelty value, or to present well-known actors in an unfamiliar avatar. One reason it’s so effective is because this story is about the gap between a pastoral world and a forward-looking one; about the possibility of moving ahead through modern education, but also the ambivalence of leaving your roots behind. (You’re making a mistake by getting your brother educated in English, the munim tells Gunga.) The film celebrates progress and change, while sparing a thought for those who are too steeped in the old world to be able to leave it. Throughout, language is used to distinguish between two sets of people and ways of life. While Gunga and Dhanno speak the rustic-sounding (to our urban ears) Awadhi of the village, Jumna and the girl he loves, Kamla – both of whom have been educated in the local school – are more reserved in their speech. But this doesn’t necessarily mean that the latter characters are wiser or more “sophisticated”, because this is also a tale about the difference between textbook education and lived experience. In early scenes, while the child Jumna dutifully learns and recites lines like “Chori karna paap hai, jhooth bolna paap hai” from a book – and sings “Insaaf ki dagar pe / bacchon dikhao chalke” in school – his older brother is learning about the many injustices of life firsthand. Vyjayanthimala and Dilip Kumar, among the most celebrated screen pairings of the 50s and 60s, are delightful together – as they were in their chatty roles in Naya Daur and Paigham before this film, and in the more sombre Devdas and Madhumati. Like many other great romantic couples, there is something counterintuitive about their teaming: Kumar was the master of understatement, celebrated for his eschewing of the loud or theatrical gesture; Vyjayanthimala came from a tradition of south Indian dance and performance that was steeped in the expression of bhava and rasa – things that fans of “naturalistic” screen acting often have little patience with. Kumar was the master of understatement, celebrated for his eschewing of the loud or theatrical gesture; Vyjayanthimala came from a tradition of south Indian dance and performance that was steeped in the expression of bhava and rasa – things that fans of “naturalistic” screen acting often have little patience with. Yet they worked so well together in a number of films, and in Gunga Jumna both also get to operate outside their comfort zones (what with Kumar playing a man given to grand gestures and shows of emotion, participating in a kabaddi game or dancing with zeal). There’s an unusual scene where Gunga inadvertently strikes Dhanno in pain and annoyance as she tries to remove a bullet from his shoulder; and his men – hardened dacoits, all – get angry with him for hitting a woman. Just as engaging, though, are the many verbal jousts between the two lovers. Among the many young viewers Gunga Jumna left a big impression on was the 19-year-old Amitabh Bachchan, who often spoke in later decades about how taken he had been by Kumar’s performance – specifically, by how a Pathan had mastered the nuances of rural UP speech. One of Bachchan’s own superstar-making films, Deewaar, would be a reworking of Gunga Jumna’s “brothers on opposite side of the law” theme, complete with a fatal climactic confrontation between outlaw and cop. The older film has a sharper sense of humour, though: in the early depiction of the Gunga-Jumna relationship, one can see a much lighter version of the Vijay-Ravi equation in Deewaar. The teenage Gunga half-jokingly complains about having to constantly serve his “superintendent” (which he pronounces more like “soopintandant”) kid brother. Not realizing how prescient his words will be when, as adults, the brothers will be divided by clothes (police uniform versus dacoit’s garb) and by speech.